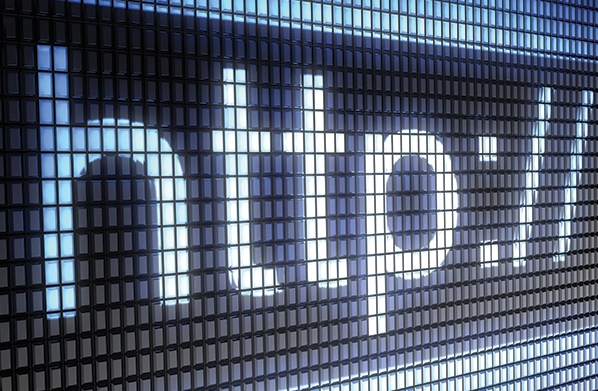 IWF - Is Regulating the Internet a Good Idea? Is Regulating the Internet a Good Idea? This weekend, two U.S. senators penned competing views on the contentious issue of net neutrality or the “open internet.” This is a hot topic these days in Washington, because we have a new Republican chairman of the Federal Communications Commission, as well as Republican control of both the House and Senate both of which largely think the Obama-era regulations to control the internet need to be either scaled back or scrapped altogether. Technology news outlet Ars Technica, published a point-counter point from Democratic Senator Chuck Schumer of New York and Republican Senator John Thune of South Dakota. Point: The internet is a public utility like phone service. Schumer: Without net neutrality protections, the Internet becomes a platform where the highest bidder reigns supreme. It would become a luxury rather than a public resource. We cannot let that happen. Thune: The Internet worked great in 2014 when there were no net neutrality rules. And it still works great today after the Federal Communications Commission (FCC) applied Ma Bell regulations from 1934 to broadband. Schumer: We don’t reserve certain highways for a single trucking company, and we don’t limit phone service to hand-picked stores. In today’s economy, it is equally important that access to the backbone of twenty-first century infrastructure, the Internet, be similarly unfettered. That is why it is critical that we maintain the net neutrality protections and clear oversight authority that the Federal Communications Commission put in place in 2015 through the Open Internet Order. Thune: In 2015, I offered former FCC Chairman Tom Wheeler an opportunity for Democrats and Republicans to come together to craft a permanent legislative solution for net neutrality that would ban blocking, throttling, and paid prioritization of Internet traffic. My Republican colleagues and I even put forward a draft bill doing exactly that. Point: The FCC was the best agency to regulate the internet instead of regulations already in place at the FTC. Schumer: Ensuring that the playing field would be level was the basis for the FCC’s decision to protect net neutrality by properly classifying broadband as a telecommunications service. Thune: Chairman Wheeler then issued an order that simultaneously gave the FCC authority to regulate the Internet under laws designed for phone monopolies and removed all authority the Federal Trade Commission had to police broadband providers. While he assured the public that his FCC would not use this new authority to restrict online practices, as years pass and officials move on, past promises of regulatory restraint will inevitably leave with them. What remains, however, is wide legal latitude for the FCC to touch any and every corner of the Internet. Point: Added net neutrality regulations are having a negative impact. Thune: These regulations are already having a negative impact on Internet infrastructure. While not a problem in places like Silicon Valley or New York City, 34 million Americans today lack access to broadband services at home, and there is evidence that the FCC’s onerous regulations have chilled the capital investments that are needed to deploy broadband throughout the country. … the US has “experienced the first-ever decline in broadband investment outside of a recession,” according to current FCC Chairman Ajit Pai. Indeed, annual investment is down 5.5 percent in 2016 compared to 2014, the last year before the new FCC regulations took effect. Schumer: The Open Internet order is working well as it is and should remain undisturbed. Both senators are pointing to Congressional action to put into law protections for net neutrality rather than the FCC or any other agency. This is an interesting wrinkle. The FCC Chairman Ajit Pai has already begun to scale back some of the net neutrality rules and is a vocal opponent of it pushing for a “light-touch” approach instead. However, given the choice between full repeal of net neutrality by the FCC or a scale-back by Republican-led Congress, Thune thinks this will be enough to wrangle bipartisan legislation. This issue heads to Capitol Hill this week and we’ll keep you posted on what’s next.